I've never been big on ballooning. It's expensive, you need to get up really early, and I'm a little bit afraid of the whole thing. Ballooning is popular in France's Loire Valley and in Egypt's Luxor on the Nile, but it's even more popular in Cappadocia in central Turkey. 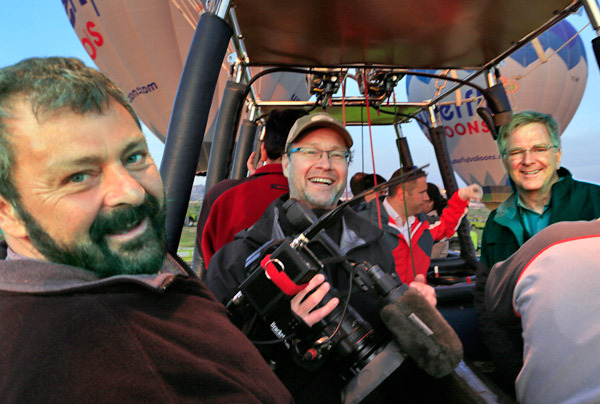 I ballooned for my first time here a year or so ago as I was scouting for our TV shoot. The experience was so majestic, I knew I'd be back with the crew. Ballooning has had a tough 2013. First there was the tragedy in Luxor, Egypt, in February killing 19, and then on May 20 a balloon right here in Cappadocia collided into another one -- killing two tourists. But hundreds go up every day throughout the season -- as they have now for several decades. It's a calculated risk people have to decide for themselves. Floating silently over the pinnacles of Cappadocia is truly a travel experience of a lifetime, and I wanted to share it on TV. What's your take on ballooning in your travels? Where is it best? Do you feel it's safe? Twelve of us got up at 4 a.m., got the weather go-ahead, watched the flame-throwing blowers fill the balloons with hot air, climbed into the basket, and rose with the sun -- big smiles on our faces giving everything a little extra buoyancy. Photo credit: Dean Cannon. 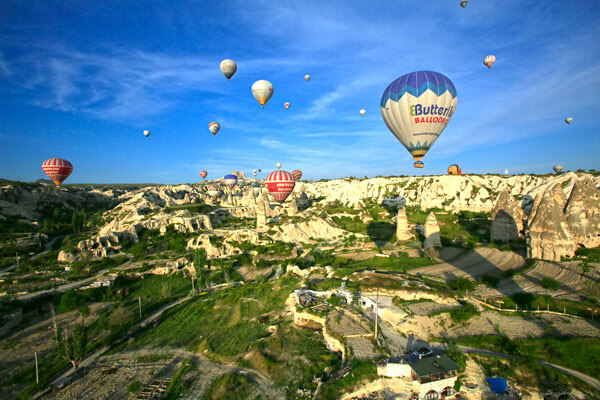 Every day through the season about a hundred balloons, each with a dozen or so passengers paying about $250 each, float for an hour across Cappadocia. Photo credit: Dean Cannon.